Myra Lawrence, C.P.A., is the Vice President of Finance at the Community Foundation. In this role, she is responsible for all internal and external financial reporting. She also oversees financial management, planning and budgeting, internal controls and activity in the investment portfolio. Prior to joining the Community Foundation, Myra worked at Kaleida Health as a member of the team responsible for the conversion and installation of financial IT systems when the health system was first formed. 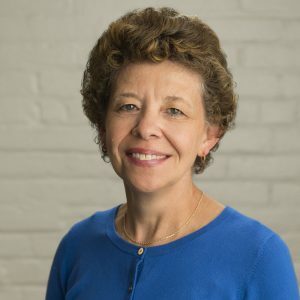 Before that, she served as the Director of Financial Operations at Children’s Hospital of Buffalo for five years where she was responsible for accounting and financial reporting for the hospital and its affiliated organizations, including two foundations. Previously, she worked as an auditor and a health care consultant at Coopers & Lybrand in Syracuse, N.Y.
Myra received her B.S. in Accounting from Clarkson University.